Red Wing is home to a vibrant arts community. 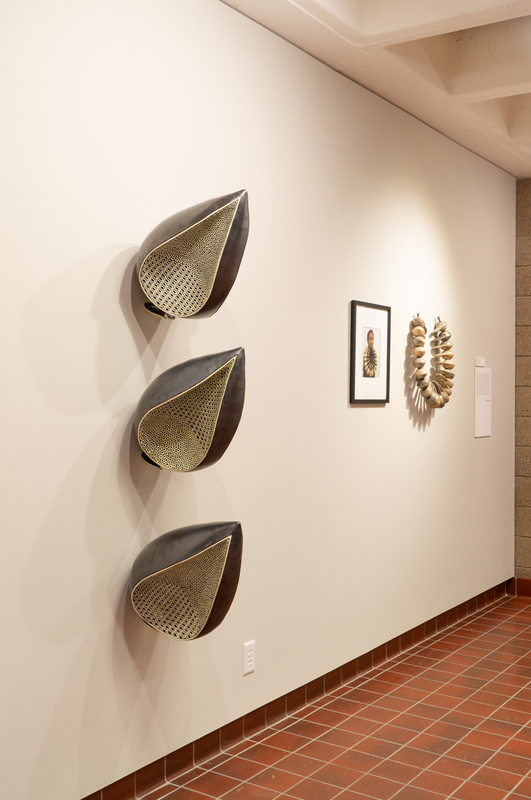 The Anderson Center and the Pottery Museum of Red Wing have teamed up to offer unique exhibitions ranging from historic decorative and functional work to experimental multi-media pieces that incorporate clay. Visit our scenic community during NCECA’s Claytopia conference. Sign up for the Red Wing Northfield Bus Tour on Wednesday, March 27 and visit both the Anderson Center and the Pottery Museum of Red Wing. On Saturday, March 30, spend more time before heading home at receptions hosted by the Anderson Center (2:00 pm – 4:00 pm) and the Pottery Museum of Red Wing (3:00 pm – 5:00 pm) for a more in-depth visit. The Pottery Museum of Red Wing chronicles the ninety-year history of the clay industry in Red Wing, bringing awareness to stoneware, artware, and dinnerware as art forms and as historical reflections of American culture. 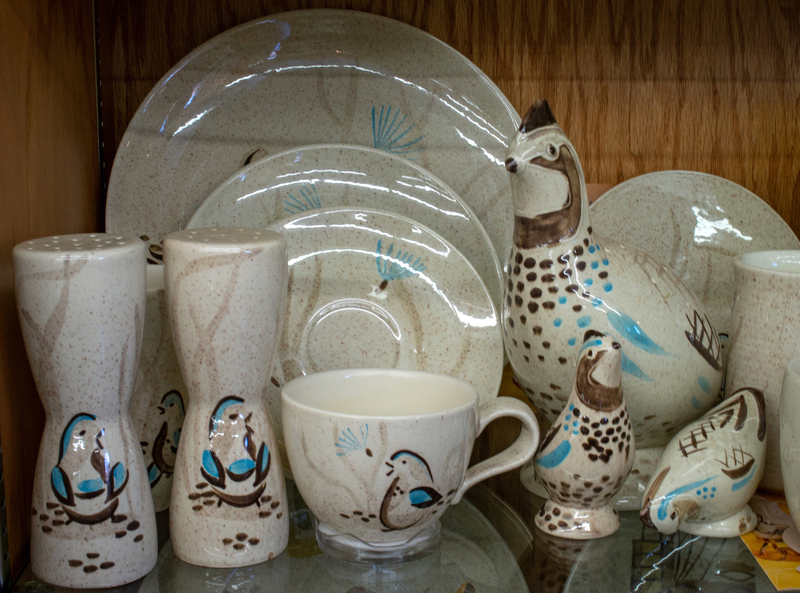 Bob White was Red Wing Potteries’ most popular dinnerware pattern. 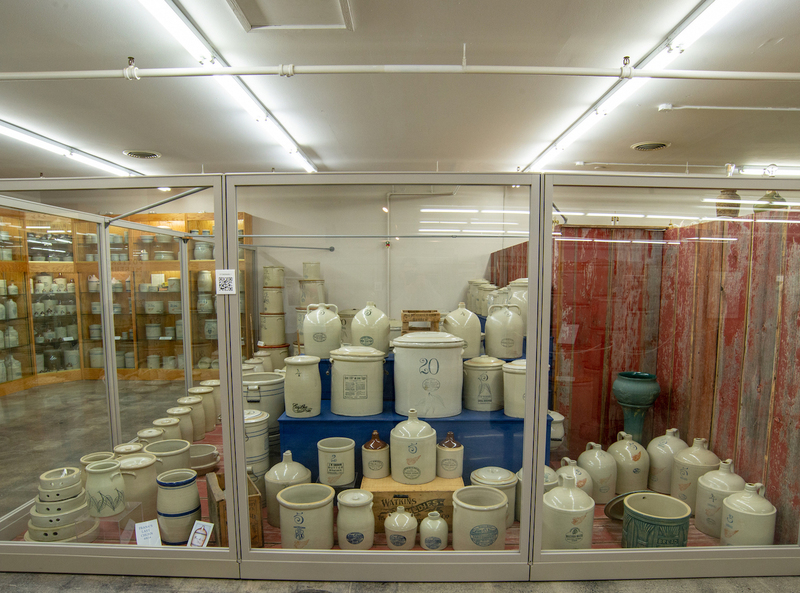 For almost one hundred years, the local clay industry adapted to meet the changing needs of the American household, beginning with stoneware jugs, crocks, jars, and other items for household use. As reliable glassware and refrigeration changed how food was produced and stored, the local industry expanded into artware and dinnerware, producing thousands of different pieces for the home. Belle Kogan designed the Prismatique line after a visit to the dentist. 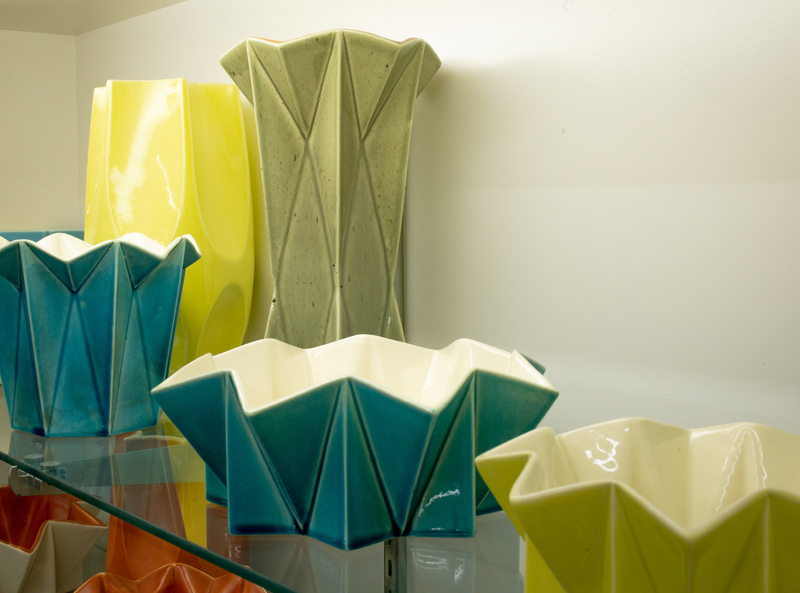 Working with internationally known designers including Charles Murphy, Belle Kogan, and Eva Zeisel, Red Wing Potteries was at the forefront of its industry with innovative designs and pleasing products. After the closing of Red Wing Potteries, its wares became very collectible and Red Wing hosts an annual convention dedicated to the collection of and education about the Red Wing clay industry. Stoneware has been called “the Tupperware of the 19th century.” It was used for food production and storage until more reliable glass and refrigeration methods were available. Visit Red Wing on Wednesday, March 27 and Saturday, March 30 to experience this! “Untitled” by Marjo Kilgast, created at the Anderson Center. Through a wide range of contemporary works produced in short-term artist residency programs, In Place explores the idea of artist residency as temporary artistic utopia. This special exhibition includes ceramic work from artists across the U.S. and Europe and is curated by Stephanie Lynn Rogers. Rogers says, “When NCECA announced the Claytopia theme, I immediately thought of the residency experience. 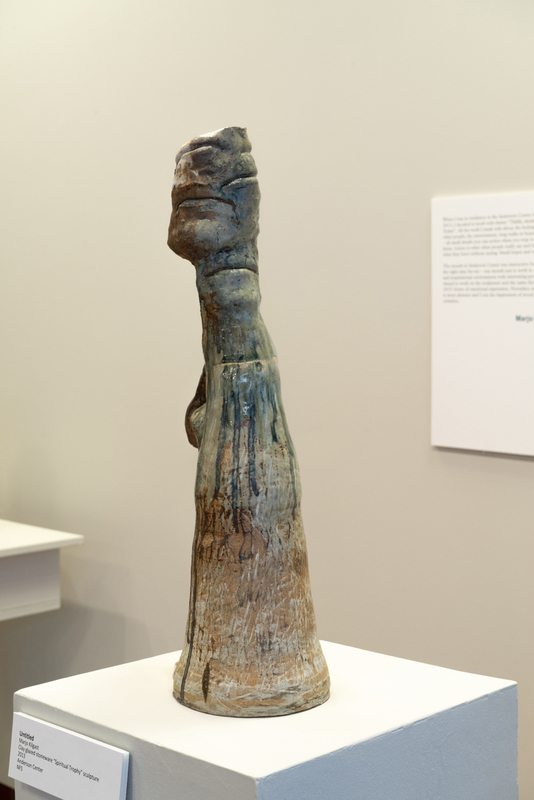 The work in this exhibit was produced in short-term residencies, most of them just 1-2 months. The brevity and focus of such programs often creates an intensive period of highly productive work: a temporary artistic utopia.” It is a credit to both the artists and the programs that such excellent work could be created in such a short time. “Dummies” by Scott Carter, created at the Arts/Industry Residency at John Michael Kohler Art Center. Artists represented include Elissa Armstrong, Sharif Bey, Scott Carter, Tomas J. Daunora, Rachel K. Garceau, Andrius Janulaitis, Jennifer Johnson, Marjo Kilgast, Sasha Kooxel Reibstein, David Robinson, and Ibrahim Said. “Elegy II” (left) by Ibrahim Said, created at the Clay Studio. 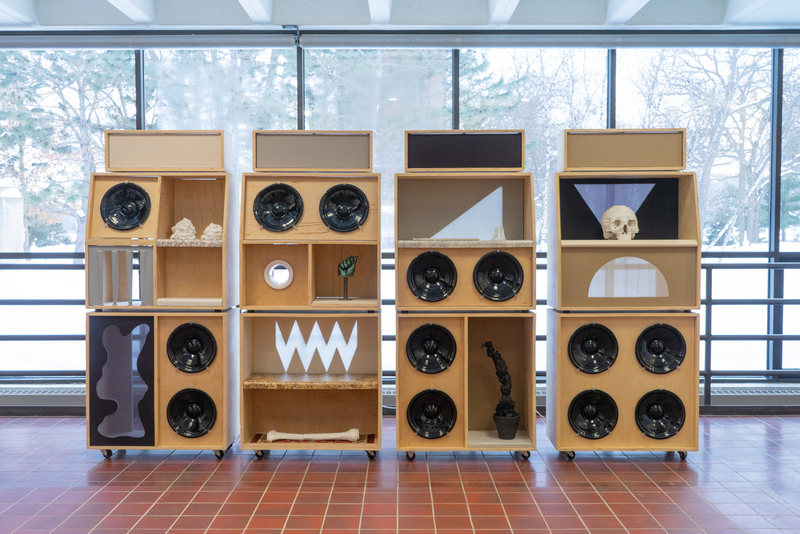 “Bird Scull Series: Bone Handle” (right) by Sharif Bey, created at the Arts/Industry Residency at John Michael Kohler Art Center. Residency programs represented include The Anderson Center, Arts/Industry Residency at John Michael Kohler Art Center, The Clay Studio, Guldagergaard Ceramic Research Center, Hambidge Center, Penland School of Craft, and Zentrum fur Keramik. The Anderson Center is the largest artist community in the upper Midwest and is located on the scenic and historic Tower View Estate in Red Wing, Minnesota.